Follow the flow from Prohibition on the Chicago River, to the banks of the mighty St. Lawrence! 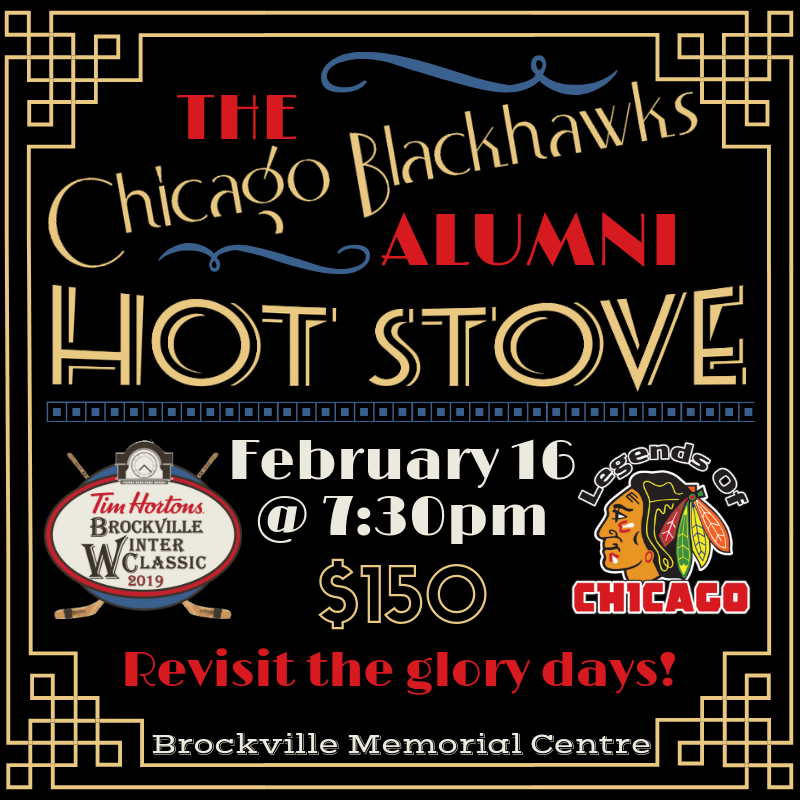 Join the revered Chicago Blackhawks Alumni as we revisit the Glory Days during our 2019 "Speak Easy"-style fundraiser in support of the Brockville Winter Classic. **included with the cost is ONE general admission ticket to Sunday's alumni game!